The ancient Inca citadel Machu Picchu in Peru was built around 1450 AD at the height of 7,970 ft above sea level. Situated in the Cusco Region it is also referred to as to the “Lost City of the Incas”, which built above the Urubamba River Sacred Valley and is one of the most popular sites in the world among the travellers. Even the conquering Spaniards could never discover this breathtaking ancient city, which was hidden till the early 20th century. It is one of the best-known archaeological sites in the world and the ruins of Machu Picchu are of great historical importance. According to the archaeologists, Machu Picchu was an estate for the Inca Emperor Pachacuti and is built in the Classic Inca Style with elegant dry stone walls. The mysterious architecture of Machu Picchu blends perfectly with the surrounding natural environment encompassing of hectares of the sacred valley, peaks and mountain slopes and is one of the most well-known icons of Inca Architecture. Machu Picchu has been designated as a World Heritage Site by UNESCO in the year 1983 and in the Year 2007 was officially voted as one of the New Seven Wonders of the World. 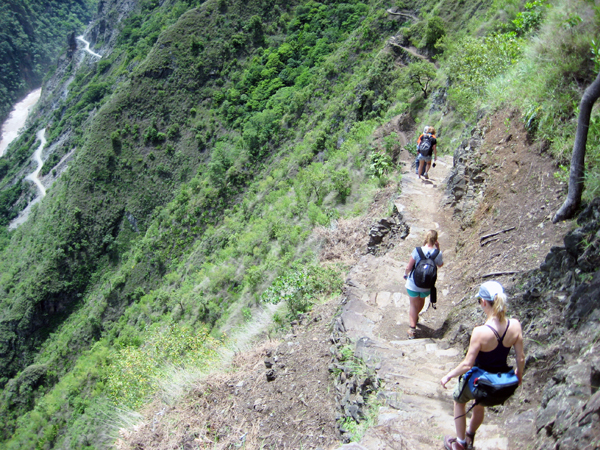 If you seek Adrenal Rush and adventure trip, then one can take Tropical Inca Trail, which combines all sorts of adventure from Hiking, biking to rafting on your way to Machu Picchu, you’ll Travel through Deep Andean Gullies and enjoy stunning views. 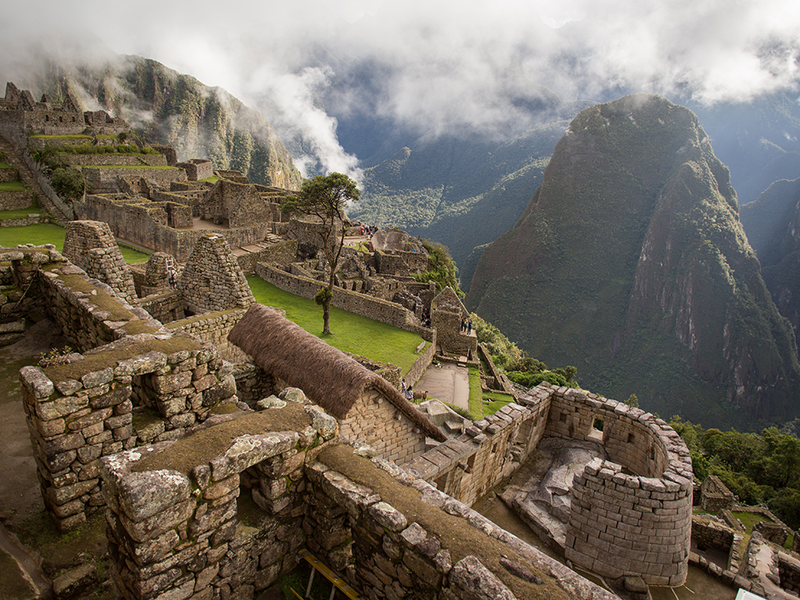 The most mesmerizing moment is to see the sunrise at the ruins of the Inca Empire and is highly recommended. This trip to the remote Peruvian site is a must to do for all travellers and bag packers. Enjoy the four-day hiking and biking through the majestic trail of the Inca as its one of the most popular treks in Peru and South America, starting from Chillica and terminates at Machu Picchu. If for some reason you are not planning to hike through Inca Trail then the only way to reach Machu Picchu is through the town of Aguas Calientes (meaning Hot Water in Spanish) and is also known as Machu Picchu Town, which is a strange little town, perched high in the Mountains of Peru. If Machu Picchu is on your bucket list then let Kesari Tours make that wish come true.